We offer various methods of contacting us. Please review the following methods and choose the most appropriate. To better serve you our staff operate within our offices located in the United Kingdom, Australia and United States. When using our live chat and telephone service you will automatically be redirected to an available staff member. 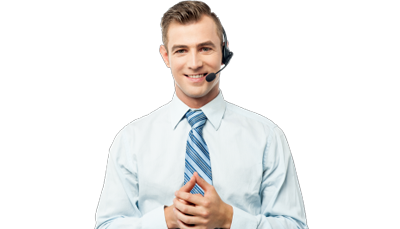 Our online customer service agents are available during promotional and peak periods and you can choose to chat with them instantly online. We recommend this option if you have a technical support question. Just look out for the pop-up button on our website to get started. If you have a question about a product or service you may call us on the numbers above. Due to the complexity of some technical support requests, limited technical support is available via our telephone service, if you have a technical support question please ensure to use our Live Chat or Online E-Mail options. We recommend checking with your telephone carrier in respect to call charges for the telephone numbers listed above. Your call may be redirected to one of our international offices, however, you will only be responsible for the call charges to the geographic phone number that you have dialed. If a payment is being sent via post please advise us so we may credit your account promptly. Trustico® has its corporate offices in England, Australia and the United States and provides its services globally. Our main addresses are provided below for your convenience when sending postal items. Visits to our corporate offices are strictly available by appointment only. If you wish to visit our office please call +1 (888) 8300 SSL in the first instance so that we may schedule a suitable time and ensure our meeting rooms are available. Our e-mail system is perfect for those that would prefer to keep a copy of our response for future reference. Typically we will reply back to your online e-mail inquiry no later than 12 hours from when you send it, but usually within 3 hours. We are protecting ourselves against automated junk e-mail. Please enter the code displayed above in the box provided. The code contains numbers only. If you can't read the code properly please Click Here to refresh it or call +1 (888) 8300 SSL to speak with a customer service agent.